Is It Safe for Barges to Carry Drill Rigs? Home » Is It Safe for Barges to Carry Drill Rigs? A drilling rig, also known as a drill rig, is a piece of equipment used for oil and gas well drilling and service, according to the United States Department of Labor. Drill rigs tend to be massive in size, with the Department of Labor’s website listing over 60 that are contained within the devices. Transporting a device as large and complex as a drill rig can be dangerous, especially on a barge, which often has to contend with weather and water hazards that can snag or topple the drill rig under the right circumstances. Unfortunately, the circumstances were right recently in Tampa, Florida, when a drill rig being carried by a barge crashed into a bridge, according to The Tampa Tribune. The incident happened around 8:30 a.m. on the Hillsborough River and involved the Kennedy Boulevard Bridge, a drawbridge built over 100 years ago. As the drill rig was being pushed on a barge by a tugboat, it passed too close to the west end of the drawbridge, which was open, allowing a cable on the drilling rig to be snagged by the bridge. After catching onto the bridge, the barge kept being pushed forward, which led to the drill rig being dragged backwards by the bridge and ending up on the tugboat. Following the collisions, the rig was left hanging from the open bridge, balancing on the edge of the barge and resting on the partially submerged tugboat while the city of Tampa and the Florida Department of Transportation worked to stabilize it. Thankfully, no one was injured in the crash. As of this report, the Kennedy Boulevard Bridge was stuck in the open position while authorities awaited the arrival of a bigger crane, which they hope will allow them to remove the 125,000-pound drill rig. If you or a family member was injured in a tugboat or barge accident, our maritime trial lawyers may be able to help you. 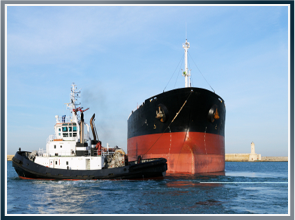 We have decades of experience assisting maritime accident victims and their families, and we can do the same for you. Give us a call today to schedule a no-cost, confidential consultation. Latti’s Little Extra: The Kennedy Boulevard Bridge, a Tampa, Florida drawbridge, was built in 1913. Previous What Are the Small Vessel General Permit (sVGP) Regulations?